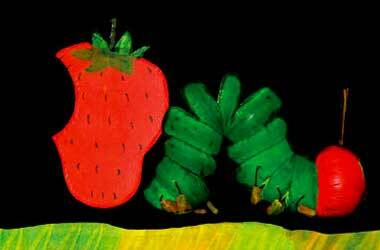 The Very Hungry Caterpillar & other Eric Carle favourites. Join bored Little Cloud who strays from his mates to go on a thrilling adventure, transforming himself into an airplane, a sheep, a clown with a funny hat … even a shark! Follow The Mixed Up Chameleon who doesn’t think he’s special changing colours everyday. He embraces his uniqueness only after an identity crisis occurs when he decides to emulate the different animals he meets at the zoo. For children between the ages of 3 and 6 years. Weekdays : 9.30 a.m. & 11.30 a.m.
1 May : 10.30 a.m. Weekends : 10.30 a.m. & 2.30 p.m.